Brandon Witte is the President and CEO of Sightline Systems. Prior to joining Sightline Systems in October 2006, Brandon was a Director with CGI, a large consulting and outsourcing company. In that role, he was part of the corporate strategic venture group, focusing on the capture of large outsourcing contracts. Brandon’s primary focus was on the application support and development aspects of these opportunities. He was responsible for the transition activities of key accounts, providing critical project oversight. Previously, Brandon served as CTO for InsideOut Technologies, a wholly-owned subsidiary of American Management Systems (AMS). While serving as CTO he was responsible for the architecture and operations of the company’s managed credit offerings. Brandon has multiple patents pending for the NetCredit and Identicate product suites, developed by InsideOut Technologies and now part of CGI. 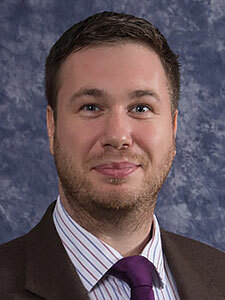 Brandon holds a BA in Management Science from Virginia Polytechnic Institute and State University. Mike Madsen is the CIO and Senior Vice President of Product at Sightline Systems. Mike’s previous experience includes 10 years as a Vice President at CGI, a large consulting and outsourcing company. In his most recent role there he was responsible for Program and Product Management for the U.S. infrastructure business. Prior to that Mike served as a Director at American Management Systems (AMS) where he oversaw the development and support of the company’s financial services product suite. Mike holds a MS degree in Computer Science from George Mason University and a BS degree in Economics and Computer Science from the University of South Dakota. Jay Anderson is Vice President of IT Sales for Sightline Systems and is responsible for direct and indirect selling efforts for Commercial clients and Federal agencies. He recently joined Sightline after a successful tenure leading the sales and marketing teams at FactoryFour, a Baltimore-based startup focused on WIP (work in process) solutions targeting the manufacturing industry, that resulted in a $5MM investment. Prior to that, Jay spent 8 years directing multiple top performing sales teams at CalAmp, a worldwide leader in IIoT devices, supply chain/logistic applications and telematics cloud solutions. While at CalAmp, application sales increased 400%, totaling over $75M, while capturing over 3,000 new subscription customers. Jay has a BA in History from George Mason University. Erik Laubacher is Vice President of IIoT Sales at Sightline Systems. He previously led digital transformation for Barrick Gold Corporation, the world’s largest gold mining company, where he created the Analytics & Unified Operations (Au OPS) platform, which was recognized by Bloomberg and Mining Quarterly for modernizing mining operations. Prior to this work, Erik managed the world’s largest IoT integration in the HVAC energy monitoring/control industry, which realized $400M USD in annual savings per year. Erik’s experience also includes building custom ERP systems, Big Data applications and other enterprise Software-as-a-Service (SaaS) applications widely used by over 20 million Americans. Erik is a credentialed Project Management Professional (PMP), Agile Certified Professional (PMI-ACP) and member of the Leadership Institute Master Class (LIMC) of the Project Management Institute. He also holds a Six Sigma Green Belt (SSGB) along with a master’s degree in Technology Management from Georgetown University. Debra Ray is the Director of Product Management at Sightline Systems. She oversees all post-sales support activities, including software documentation and release management, training, and on-going software support to ensure that Sightline users enjoy the maximum benefit from their investment in the Sightline product line. Over the last 20 years, Debra has delivered training courses around the world and has spoken at various user and corporate conferences throughout the United States. Debra holds a BA from the University of Virginia. Bill Amadio is the Director of Program Management at Sightline Systems. He oversees the development team, quality assurance engineers, product release process and other aspects of day-to-day operations. Prior to joining Sightline Systems, Bill spent the last 20 years of his career as a project manager and agile coach for a variety of businesses, US government entities and non-profit organizations on the East Coast. Bill has been a certified project manager for over 15 years, and holds a BS in Computer Information Systems from Rider University. Kevin Hunt is the Director of Global Customer Support at Sightline Systems, based in the UK. He oversees all global support issues alongside his team and also looks after (installations/upgrades (POC’s), including EDM training in EMEA). Kevin has been working for Sightline Systems and their EMEA distributors since 1997. Kevin’s previous experience includes 19 years in a banking environment as an IT Shift Manager for Brown Shipley Co. Ltd. (next to the Bank of England in London), working on Unisys MCP and Burroughs systems in a high-pressure, work environment. Kevin helped build an automated scheduler to run banking overnight batch jobs for unattended operation. Prior to this Kevin worked as a systems operator on NCR computer systems for a large insurance company. James B. Di Rubbio is the Director of Finance at Sightline Systems. James oversees Sightline’s AR, AP and cashflow/budgeting functions. James also works to ensure compliance at the federal, state and municipality level, assists with HR and maintains internal financial procedures and controls. James has held multiple careers in management, sales and public accounting. James holds a BS in Accounting and a BS in Information Systems and Operations Management from George Mason University.